Phelan Hill has been coxswain of the GB Rowing Team men’s eight for the past two Olympiads, playing an integral role in the boat’s success during that time. Phelan Hill guided the eight to gold at three successive World Championships and the Rio 2016 Olympic Games, having won a bronze medal at London 2012. Phelan is currently taking time out from his work as a Senior Policy Advisor with HM Treasury, who are hugely supportive of his rowing career. 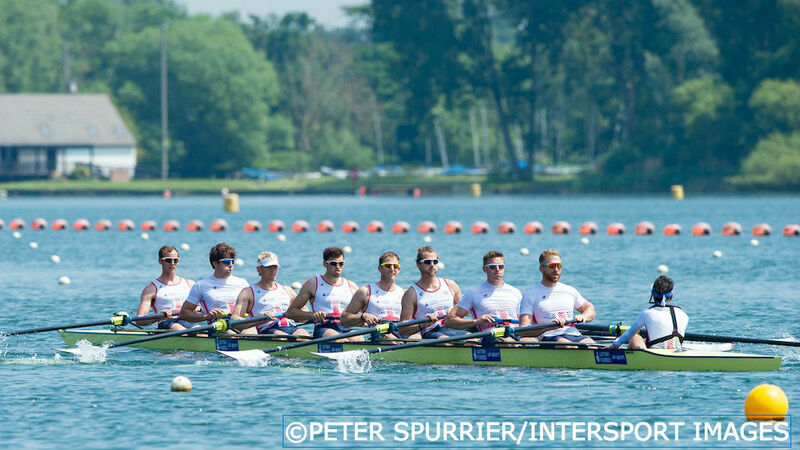 Phelan was once again selected as cox of the men’s eight for the 2016 season and guided them to a bronze medal at the European Championships in Brandenburg, GB taking third place on the line. Alan Sinclair subbed in for the ill Pete Reed for the Lucerne World Cup, where GB finished fourth. Pete returned for the World Cup in Poznan, where the GB eight enjoyed a good tussle with the Olympic champions from Germany on their way to a silver medal. It completed a golden Rio 2016 Olympiad for Phelan after coxing the men’s eight to three successive World Championship titles. The latest came at the end of an enthralling 2015 that saw the GB eight enjoy a season-long battle with Germany. 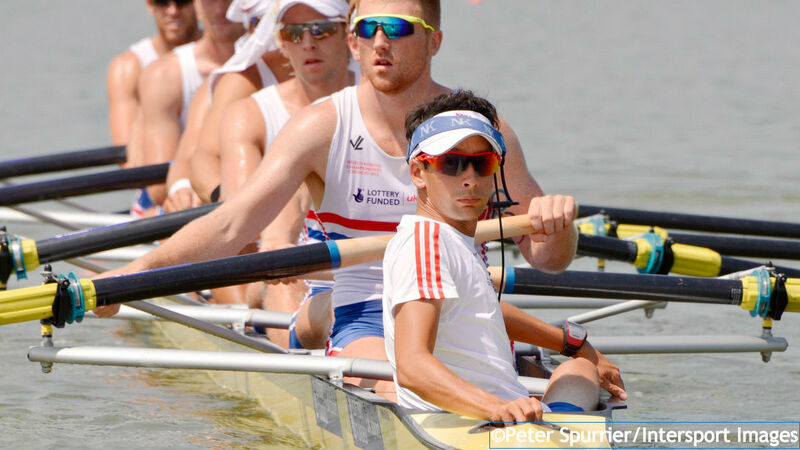 They had the upper hand at the European Championships in Poznan, Poland as the GB crew finished runners-up. After coaching the men’s pair of Matt Tarrant and Callum McBrierty to the A final at the World Cup in Varese, Phelan returned to the eight in Lucerne as GB held off a late surge from Germany to win by just eight-hundredths of a second. The World Championships promised even more drama and did not disappoint as the rivals went head to head once again. This time the GB eight won by two-tenths of a second to claim gold for a third successive year. Phelan started the Rio Olympiad by coxing the eight to a historic first-ever World Championship gold. They also won two World Cup regattas that year. The 2014 season saw Phelan and the eight win bronze at both the European Championships and the World Cup in Lucerne before the GB crew returned to the top of the podium in style at the World Championships, recording a convincing victory in Amsterdam. Phelan established himself as cox of the eight in 2009, winning two bronze medals in the World Cup series and finishing fifth at the World Championships in Poznan. The eight made a big step up in 2010 as they followed up gold and two bronze at the World Cups with a superb silver medal at the World Championships in New Zealand, finishing just six-tenths of a second behind Germany. It was a similar story in 2011, with Phelan coxing the eight to another World Championships silver medal in Bled. They also won World Cup silver in Munich and bronze in Lucerne. Phelan’s GB debut with the eight had also ended in victory, at the World Cup in Amsterdam in 2007. He had started coxing at Bedford School in 1995 to help some friends who were in need of a cox. He enjoyed it so much he decided to carry on and cox both at his school and his local rowing club. Phelan returned to the sport in 2002 after joining London Rowing Club and, in his first season, coxed the England lightweight eight to gold at the 2002 Commonwealth Championships. He repeated that achievement at the 2006 Commonwealth Championships and also enjoyed success at the Henley Royal Regatta with London RC. 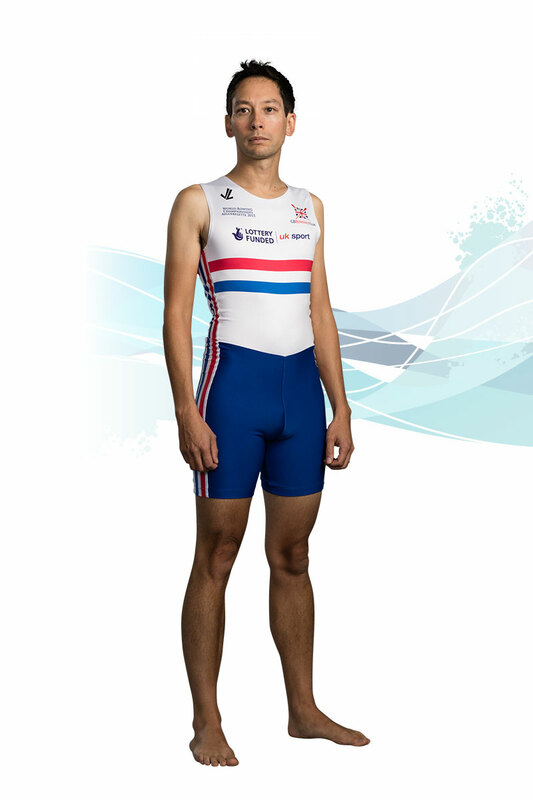 After making his first GB appearance in Amsterdam, Phelan guided the men’s coxed four to fourth place at the 2007 World Championships and coxed the eight to sixth place at the following year’s European Championships. Phelan graduated from the University of Leicester in 2001 with a degree in Law. He then attended Law school in York before moving to London in 2002. He worked as a Senior Policy Advisor with HM Treasury before taking time out to focus on his career with the GB Rowing Team. When not rowing he enjoys improving his golf swing, travelling around the world and playing the didgeridoo. Phelan is Lottery funded through UK Sport.